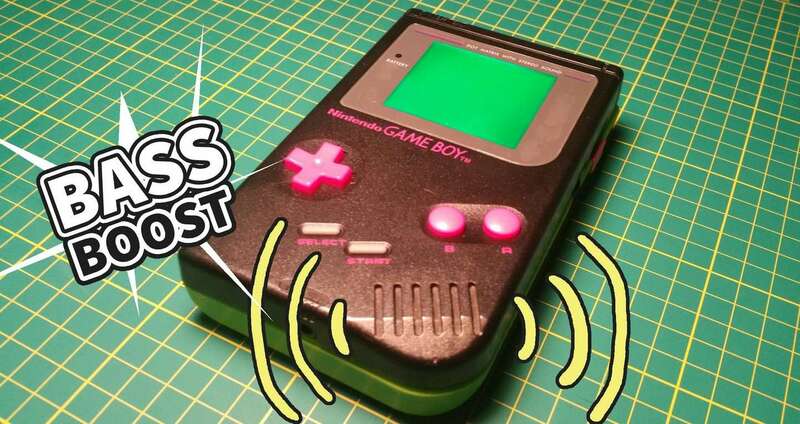 Game Boy audio is classic—and we can make it even better with the Game Boy bass boost mod. 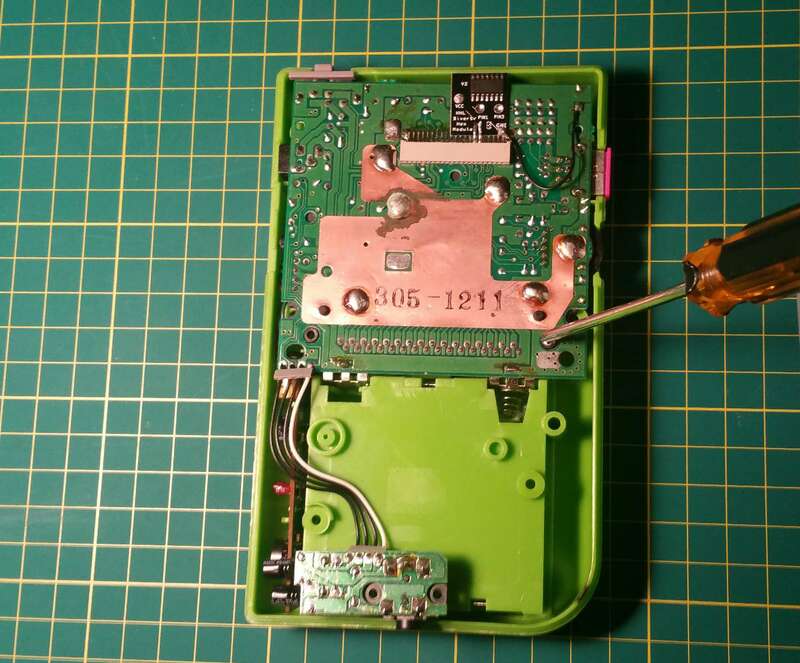 This mod replaces two capacitors to let more current through and improve the audio quality for your classic handheld. The Game Boy relies on a range of sounds. 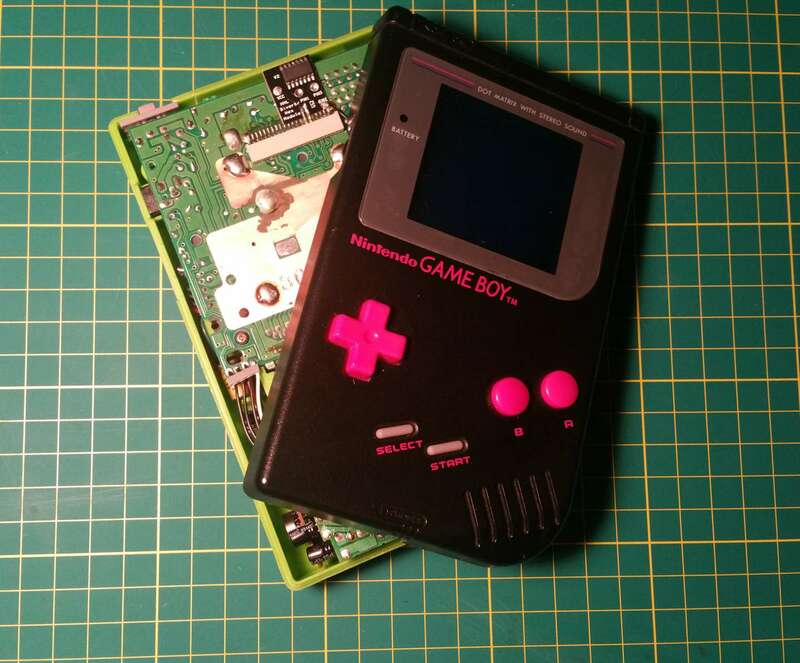 This mod brings out the best of these digital tones for a new retro gaming experience. Are you ready for some crazy good audio? Let's get started. Before we begin, let’s take a moment to examine the Gameboy. We’re looking for things like missing screws or signs of battery acid damage. 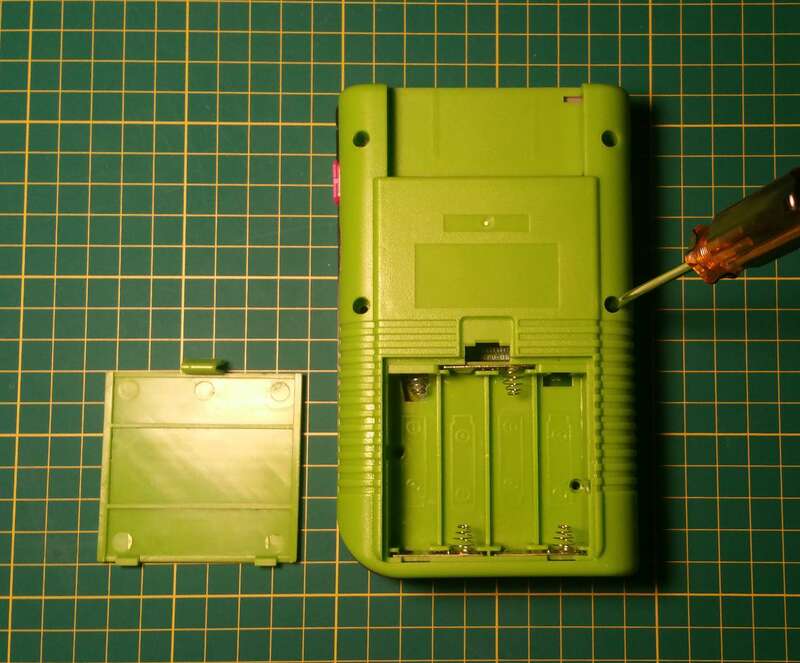 The Game Boy is held together using 6 screws. Two of them are found behind the battery cover. 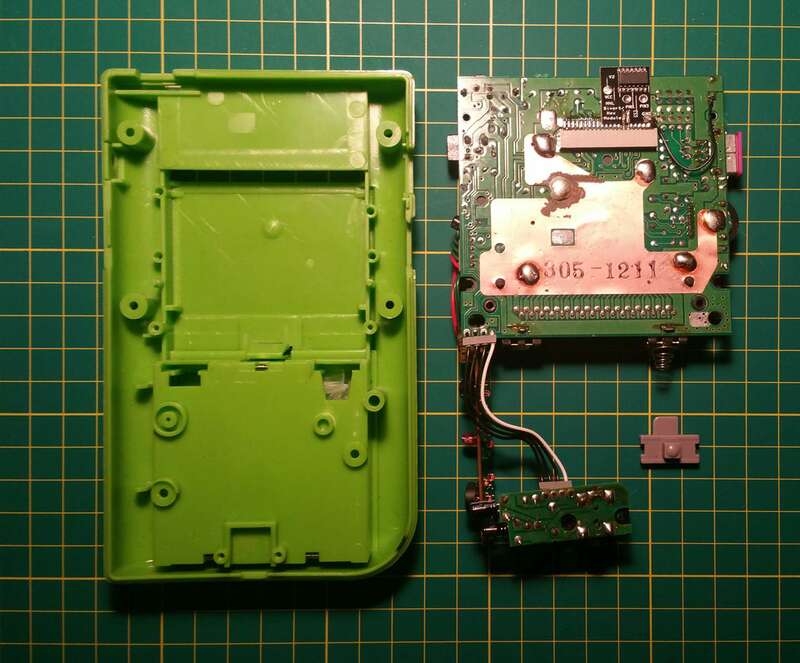 If you find any signs of battery acid damage that reaches inside the hardware, head over to our article here on how to clean the battery contacts on an original Game Boy. Most Game Boys will need to be opened using a tri-wing screwdriver, while older models will require the use of a Phillips screwdriver number 1. Using an appropriate screwdriver, remove all 6 screws from the outer shell. 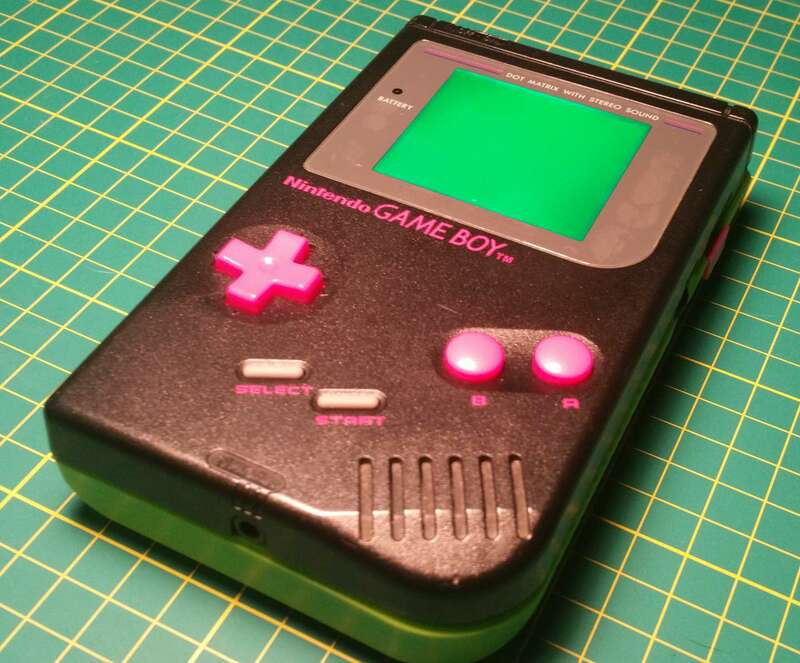 The Game Boy is comprised of two separate halves. Each half has its own motherboard and connects with a delicate ribbon cable. This cable is responsible for transmitting display information. Mishandling this cable can cause serious, irreparable damage to the screen. Exercise extreme caution with this cable. Gently unplug the ribbon cable from the back motherboard. There will be 4 screws used to mount the back motherboard. Unscrew them using a Phillips screwdriver number 1. Gently pull the back motherboard from the shell housing. Note: The power switch in the upper left hand corner will shake loose. You will need to keep track of it while the motherboard is removed. 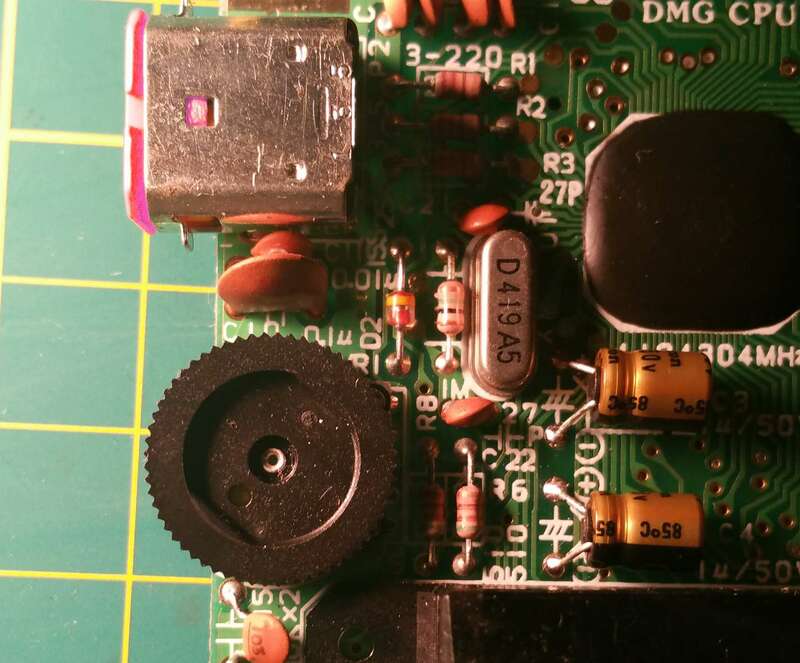 There are two capacitors located on the back motherboard. They will need to be removed. Using a soldering iron, heat the existing solder and remove it using a solder sucker. The capacitors are located near the link port. Refer to the picture above. The new capacitors will need to be installed. The original capacitors are only 1uF, these are 10uF / 50V. The motherboard will indicate the appropriate anode and cathode location for the capacitors with a positive and negative symbol. Be sure to align these properly before soldering! Once each capacitor is lined up correctly, solder it into place. For a professional finish, consider using flux before applying the solder. Carefully place the back motherboard back into the shell. Be sure to put the power switch back into its slot. Using a Phillips screwdriver number 1, screw the motherboard into place. There will be 4 screws used during this step. The two halves will need to be placed together. Gently plug the ribbon cable into the back motherboard slot. Be extra cautious to avoid bending the wires. 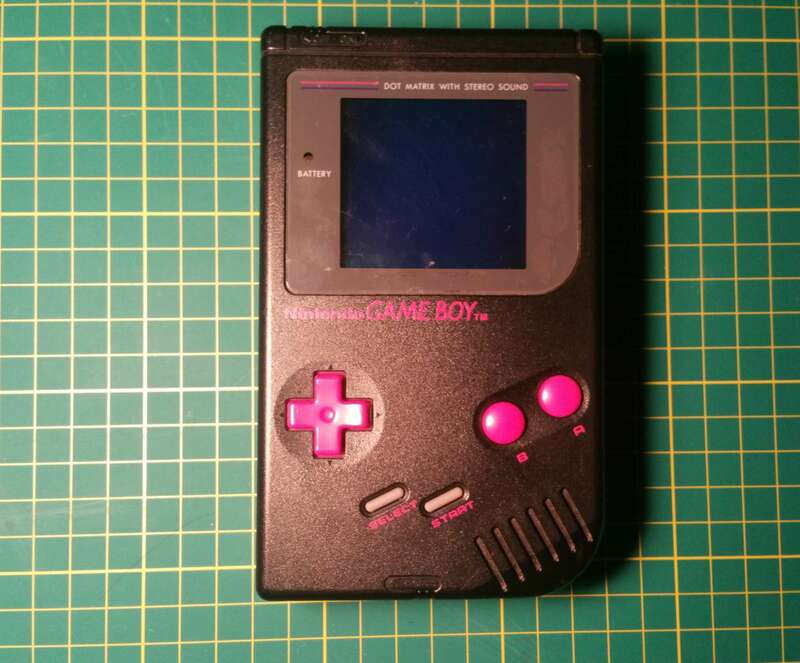 Using an appropriate screwdriver, attach both halves of the Game Boy. There will be 6 screws used during this step. It’s time for a test run—put in a fresh set of AA’s and crank up the volume! If everything worked, you should have a new audio experience like never before. 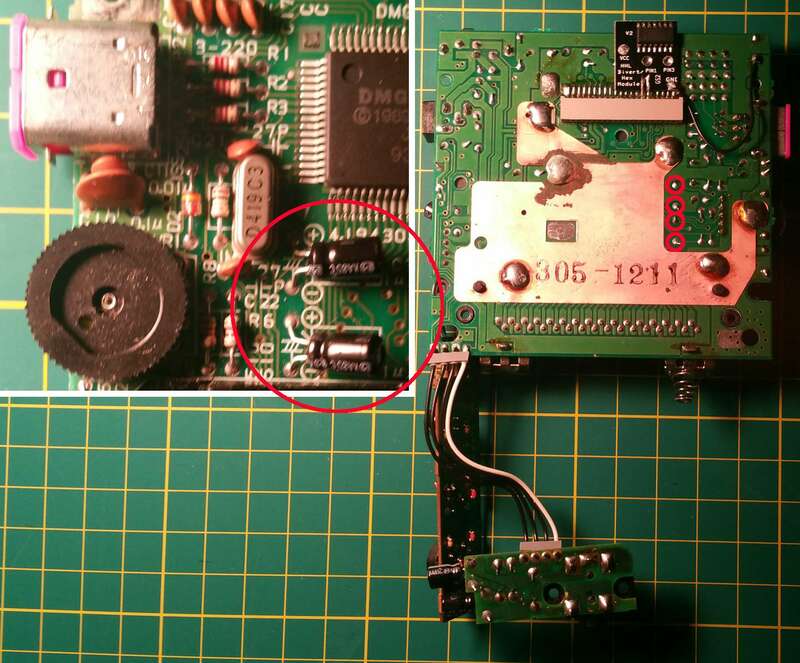 Open the Game Boy once again and double check the capacitor installation. Make sure the soldering points are clean and not touching any other components.